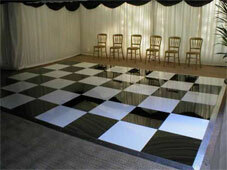 Our dedicated team is geared to the successful management of large marquee events. 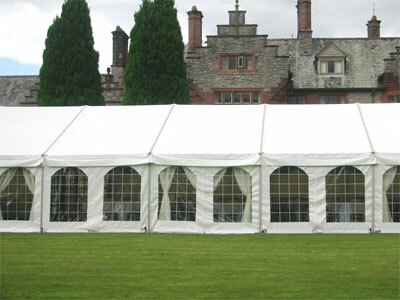 We deliver your chosen marquee on time and on budget, ensuring everything goes without a hitch and your event makes the right impression. 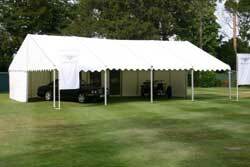 From exhibitions to hospitality events, our corporate marquees are tailored to effectively meet the needs of your business. 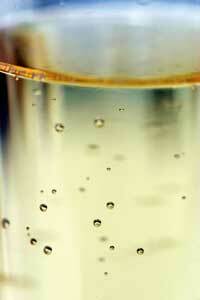 Along with standard essentials like seating and lighting, we are able to supply other equipment. Stages, podiums, tiered seating and toilet facilities are just some of the items we can supply, and, if you like, we can undertake organisation of the whole event, taking care of everything from food to fireworks. Whether you need a large, small, square, rectangular, open-plan or partitioned marquee, we will create the perfect space for your event. The completed structures are particularly suitable for decorations or corporate branding, and we can even position doors and windows to suit you.